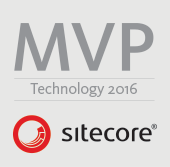 I have already blogged about How to make Ajax call in Sitecore MVC where I was registering routes in RouteConfig. In this blog post I am going to explain how to make Ajax call in Sitecore MVC without registering routes in RouteConfig. This method is relatively very easy with less code changes. I am using Sitecore 8.2 initial release version for this blog post. 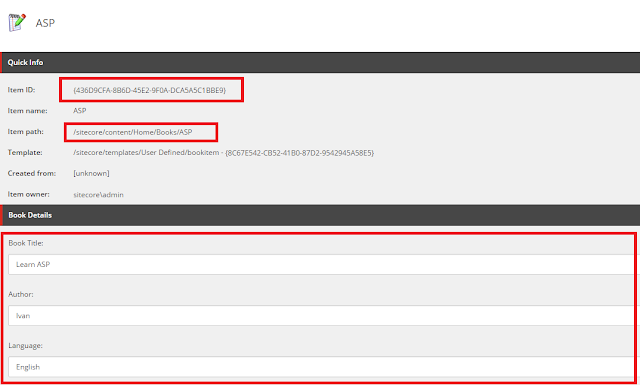 I’ve created a data template in Sitecore which is having three fields as shown in figure. On change event of dropdown list; I’ll display book details (book title, book author and book language) of selected book. I’ll use AJAX to achieve this functionality. Create a MVC controller action: I’ve written GetBookDetails action with [HttpPost] attribute in BookDetails Controller where I am passing Sitecore item id of selected book as input parameter. I’ll get book details by using item id of book item and return book details as JsonResult. Implement AJAX call: I’ll use jQuery to make Ajax call. In the below code, I am reading the value of selected book from dropdown list and passing book item id as an input parameter while making Ajax call to get book details. Use the returned JsonResult set to update the HTML div BookDetail. Notice the value of url while making ajax request.